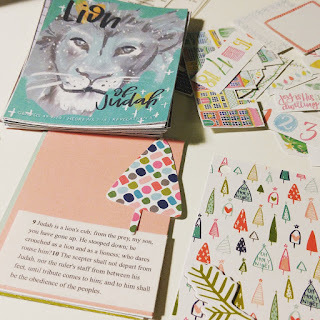 Last year I did the Illustrated Faith Advent devotional and really liked it. I did every day in my new Journaling Bible and I realized that I was a bad idea. Lots of pages I'd like to do other studies in are taken. So this year I wanted to do a mini album of sorts. I waited for the release of the Advent devotional that Dayspring sells for Illustrated Faith and was very disappointed in most of it. 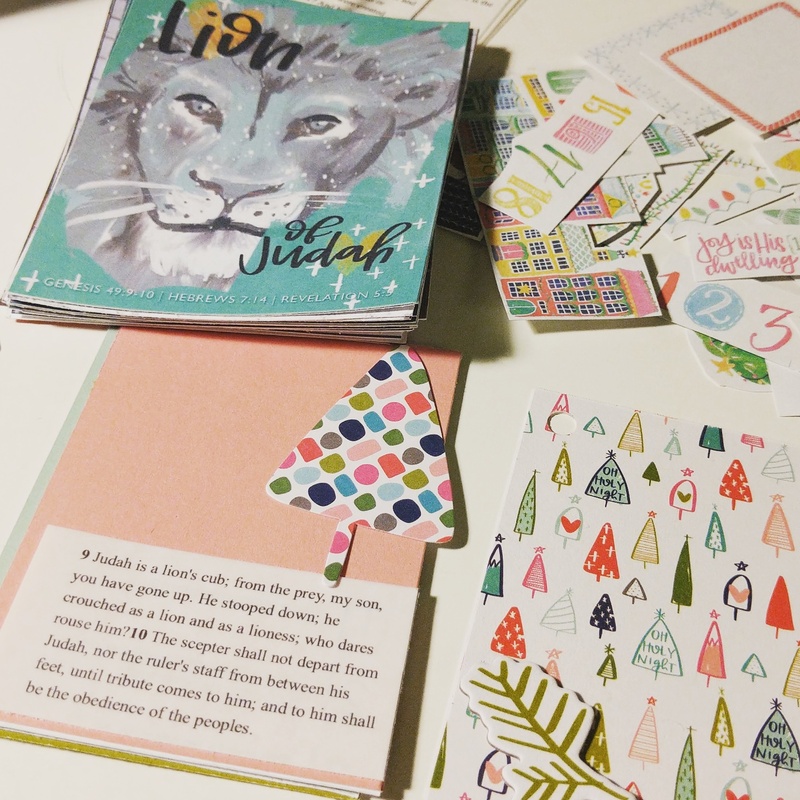 Friday the Print and Pray shop released 2 25 day advent products. One called Advent 2017: Make Room and one called The Names of Jesus. I bought both and really loved the Names of Jesus even though its colors didn't match all the IF products I bought for the project. So I'm using the cards which have a name and 2-3 bible verses that reference that name. So I read through the verses and printed each one on clear sticker paper and I'm working from there.